The Trumpet Bucket Mute is a culmination of one of the most classic mute timbres and modern styling. Using state of the art machining and innovative hand forming techniques, TrumCor has been able to solve the shortfalls of previous bucket mute designs - ease of use and durability of materials. 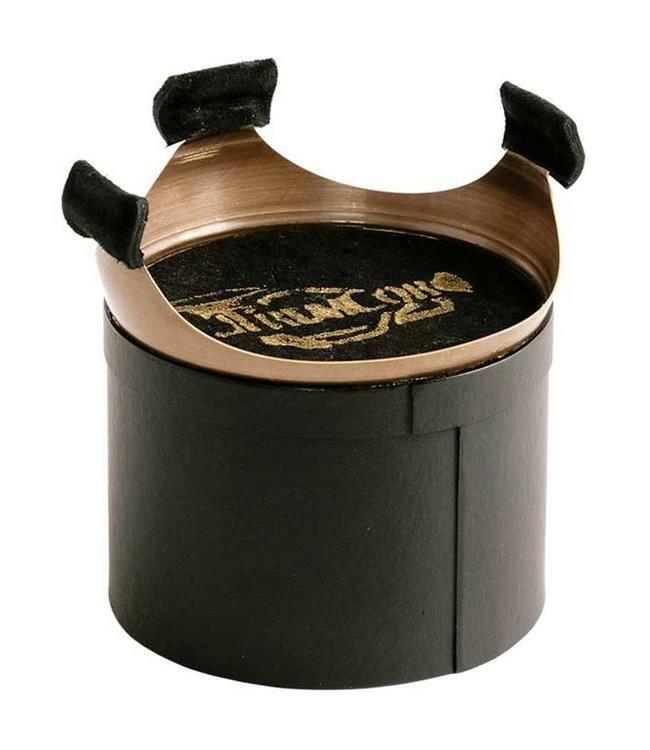 Made of patina brass and our exclusive resonant fiber material, the silky, smooth sound of TrumCor’s Bucket Mute is sure to spark the creativity of trumpet artists worldwide.